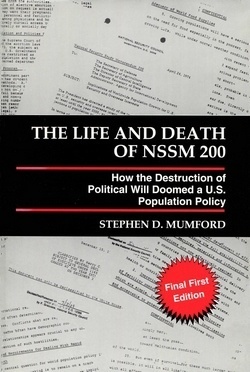 This chapter from our chairman Dr. Stephen D. Mumford’s seminal book, The Life and Death of NSSM 200: How the Destruction of Political Will Doomed a U.S. Population Policy (1996), reveals strategies by which the Vatican and U.S. Catholic bishops have been able to extend their institution’s life. The book is available at Kindle here, and is available to read for free here. For this reason, the primary focus of the Church bureaucracy is on protection of the principle of infallibility. All else is secondary. If this principle is undermined, the system will self-destruct. We should assume there is nothing these guardians of “God’s institution” will not do to protect this principle. In the last Chapter, I discussed the canonization of Pius X by Pius XII in 1954. During his canonization hearing, it was accepted that Pius X was a despot but the prevailing attitude was: “Since the faith of the Church was threatened, all such means seemed justified.” It should be no surprise that the Church bureaucracy position regarding protection of the threatened principle of infallibility is the same. Obviously, all means are justified. However, is it reasonable to aid the Vatican in its quest for institutional survival at all costs? After all, the NSSM 200 researchers determined that our national and global security is gravely threatened by the desperate policies of the Vatican. Yet we are aiding the Vatican in postponing its own self-destruction. This chapter is an inquiry into some of the ways we are contributing to this postponement. The Vatican’s public attack on contraception has centered on the morality of contraception. Webster’s dictionary defines morality as a doctrine or system of ideas concerned with conduct, or a system of principles or rules of proper conduct. For centuries the Church has relentlessly claimed that she is the only authority with the right to define this system of rules establishing what is right and what is wrong. This claim goes unchallenged. By default, the pope gets to make all of the rules. He decides what is moral and what is immoral. With amazing frequency, American Presidents and statesmen publicly proclaim, in effect, that the pope is moral leader of the world. By doing so, they enhance the pope’s authority and power. But if the pope must protect the principle of papal infallibility by all means at his disposal, why would he not define the system of rules concerning right and wrong in such a way as to protect his principle of infallibility? In fact, he has. The Papacy has a vested interest in defining the system and a long history of using all means necessary to insure the survival of the institution. In the Catholic system, morality is defined in terms of what will protect the Papacy. Having been exposed to the living conditions of the world’s poorest peoples on numerous occasions, I came to question the pope’s system of morals. About 25 years ago, after much observation and thought, I concluded that in the deepest sense it was immoral. I cannot imagine accepting this institution’s system of morality. Tens of millions of thoughtful Catholics around the world have reached the same conclusion and have left the Church. John Paul II does not “interest himself in the truth.” Overpopulation is the gravest threat ever faced by our species, but the pope ignores the truth. We acknowledge that this sinister man is the moral leader of the world. We permit him to make the rules in spite of his outrageous views and claims. Our willingness to publicly accept the pope’s views and claims of what is right and what is wrong is serving to postpone the inevitable self-destruction of the Papacy. Our leaders should end this unreasonable practice and let self-destruction take its course. The Vatican similarly claims the exclusive right to define human rights. It is obvious that its definition of human rights also has been formulated to meet its institutional needs. For example, 400,000 women die each year as a result of their fertility: Half of them—200,000—die early, in their teens or 20s, in the course of wanted pregnancies or childbirth. Half of them die later in their child-bearing years as a result of unwanted pregnancies, after they’ve achieved their desired family size. It is reasonable that all women should have the human right to avoid premature death posed by their own fertility by any suitable means they choose, including modern methods of contraception and safe and legal abortion. But this very basic human right does not appear on the Vatican’s list. Webster defines fraud to be an act of trickery or deceit, especially when involving misrepresentation; an act of deluding; an intentional misrepresentation, concealment, or nondisclosure for the purpose of inducing another in reliance upon it to part with some valuable thing. The Vatican is clearly committing fraud when it intentionally deceives Catholics and non-Catholics alike by describing their list of human rights, when they full well know the list was formulated in such a way as to protect the institution from self-destruction—by protecting the principle of infallibility. It is obvious to the Vatican leadership that these 200,000 women each year are paying with their lives solely to postpone the self-destruction of the Papacy. I find this behavior shocking, indeed one of the most offensive attributes of this institution. We have the technology and resources to prevent nearly all of these deaths with little difficulty. But not only does the Vatican exclude this basic human right from its list, it has successfully thwarted all efforts to end these needless deaths by providing contraception and abortion to these women. All American activities that might lead people to believe that Vatican concerns about human rights are genuine should be suspended—with good reason. The Vatican’s incessant cries for “human rights for all” deceives billions of people into thinking that the Vatican is sincere in this concern. The resulting positive image of the Church buys time for the Church by slowing the loss of credibility, postponing self-destruction. We should not be a party to this obvious deception. We should not, in any way, encourage people to think that the Vatican is the guardian of human rights. The credit fraudulently earned by the Church as a result of our own failure to vigorously challenge the deception will simply postpone the Vatican’s self-destruction. Frequently I’m attacked for criticizing priests and nuns who are manifestly “good people.” The difficulty is that priests and nuns are caught in a wrenching Catch-22 situation. Just my describing this Catch-22 prompts angry responses. Yet the way in which we, as individuals and as a country, deal with their misfortune will determine, in large measure, how long Vatican self-destruction will be postponed. The Catch-22 goes like this: Priests and nuns do “good works” and earn public credits. “Good works” include a wide range of activities (i.e., working for very low wages providing social services under difficult circumstances, etc.). These public credits are transferable to the hierarchy. The hierarchy can cash them in when needed to advance the Church’s agenda. This system has been around for hundreds of years and it is used extensively. This system is frequently referred to by Catholic writers. For example, the Church can define its system of human rights and leave out a few obvious ones. The Church then announces its system on the world stage and brings along a stack of these public credits and cashes them in to purchase silence from potential critics. Otherwise, they would be laughed off the stage by reasonable people for showing up with a glaringly incomplete list. If they did not have all this credit to cash in, the institution would cease to be credible. Sometimes, the Vatican does not have the credits or it is not willing to cash them in for a particular purpose, and it does lose credibility. Tens of millions of people have left the Church because its credits for good works did not weigh favorably against its discredits for bad or sinister activities undertaken in its attempt to survive. One of the major problems faced by the Church in the United States is that it has far fewer priests and nuns than it once did to commit to earning these public credits—just at a time when its needs for such credits are exploding. This contributes to the declining credibility of the Church in America. Priests and nuns who identify themselves as liberal and are pro-family planning and pro-abortion are caught in the Catch-22. The harder they work and the greater their good works, the more sinister behavior (like undermining family planning programs around the world) the pope and bishops can exercise without being called to account by the faithful and non-Catholics alike. Thus, the more good the liberal priests and nuns do, the more harm they do indirectly by providing cover for the sinister activities of their hierarchy. The only way the good efforts of liberal priests and nuns can have a net positive effect for humanity is for them to leave the Church and continue their efforts outside of it. 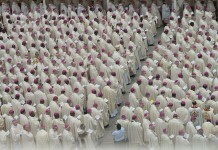 We know that there are more than 20,000 ex-priests in the U.S. today. Many of them left the priesthood because they came to this same conclusion on their own. Liberal priests and nuns serve to postpone the inevitable self-destruction. Do liberal priests and nuns aid the conservative hierarchy and postpone self-destruction of the institution in other significant ways? Yes, they do. They are vital working parts of the “mighty religious machine.” They contribute to keeping the machine intact and aid the power structure in standing firm. Even though they are pro-family planning and pro-abortion, they are vital to the conservative hierarchy and their holy war against U.S. security interests as defined by NSSM 200. The liberal priests have no power within the Church. They make no Church policy and there is no reason to hope they ever will. All hierarchy members are obedient conservatives and tend to become more conservative and more obedient with time. The grip of the ultraconservative John Paul II and his highly conservative cardinals grows ever tighter on the reins of the Church. There is little chance this grip will be lost. These conservatives will most surely elect another ultraconservative when John Paul leaves the scene. They must. If they do not, the Papacy will self-destruct quickly. Liberal priests and nuns who believe that they can “change the Church from within” simply do not understand Papal power and the untenable position in which the pope finds himself as he oversees his self-destructing institution. Liberalization spells death for the Papacy. The only constructive action remaining for a liberal priest or nun is to leave the Church and encourage others to join them, thus allowing the inevitable self-destruction to conclude as quickly as possible. Otherwise, they should understand why they are viewed as a threat to U.S. and global security as defined in NSSM 200. By leaving the Church, they can best serve humanity, a conclusion reached by one-third of those ordained since Humanae Vitae was promulgated in 1968. Often I’m told that I should not speak out against the Church because “I might offend Catholic liberals and if there is hope for change within the Church, it rests with the liberals.” Since conservatives are in absolute control regarding the direction of the Church, no one’s interests, except the conservatives’, is served by pointing to liberals in the Church and saying “but they are on our side.” They have no influence on Catholic policy making—and they will have none in the foreseeable future. As used here, the term liberal Catholic is defined as an American Catholic who does not agree with the papal position on abortion and contraception. According to a well designed study published by Catholic Sociologist Father Andrew Greeley in the Jesuit magazine America, liberal Catholics account for 93 percent of all American Catholics! It is stunning and tragic how little influence this overwhelming majority has on the American bishops. We must remember what is at stake, as illuminated by NSSM 200, and act accordingly. In no way should we assume responsibility for the painful predicament Catholics find themselves in today. It was set in motion in 1870. Above all else, we have a high moral responsibility to protect our nation’s security-survival from all threats, domestic and foreign. Nurturing liberal Catholics to participate in the population growth control movement by avoiding identification of the real opposition to population growth control undermines any hope of success. Until we identify the opposition to our movement, and educate Americans as to why and what the Catholic hierarchy is doing to thwart population growth control, we have little chance of success in dealing with the population problem. We must identify the enemy’s weaknesses and exploit those weaknesses if we are to solve this problem. Some liberal Catholics will choose to leave the population movement or not to join; others will remain or join. But in any case, we cannot compromise our movement by refusing to identify our opposition, and failing to formulate our strategy so as to take advantage of its weaknesses, just so we will not offend liberal Catholics. Decades ago, Protestant churches had no reservations about reporting Vatican activities in the United States that they viewed as threatening to the U.S. Constitution and security. Much of this appeared in denominational publications. Such reporting is now virtually nonexistent. In discussion of the Pastoral Plan in Chapter 9, ecumenism was presented as a tool of the bishops to block potential criticism from Protestant leadership for their extensive political involvement and for their stated goals of setting government policy on abortion. However, Hasler’s study suggests there is more to this: “They see danger threatening the principle of authority and, consequently, the foundations of their own inner security as well…. Protestants may find a study like mine distinctly uncomfortable … we have frequently seen the churches supporting each other’s authoritarian system.” The silence of the Protestant leadership regarding the principle of separation of church and state, and the enormous amount of political activity now conducted by the bishops, is indeed perplexing. Is it possible that the Protestant leadership is convinced that its fortunes are closely tied to those of the Catholic Church in America? Is there a fear that if the pope’s authority is destroyed, their authority also will be diminished? Is there a quiet consensus that if the credibility of the Catholic Church is destroyed, the credibility of Protestant denominations will be undermined? These questions need to be answered. Tens of millions of Protestants are depending on their leadership to protect the security of their families and to be honest about the serious threat to their national security posed by the Catholic Church as it successfully saps the political will to deal with the population problem. In any case, whatever the reason, this long silence of the Protestant leadership is helping to postpone the self-destruction of the Papacy. With few exceptions, such as Lawrence Lader and Reimert Ravenholt, this quotation is applicable to most leaders of the population movement since its inception. Americans naturally look to such individuals to offer an honest and complete assessment of the population problem—not simply what they feel comfortable in sharing. The American public knows that if the Vatican were successfully preventing population growth control, our best spokesmen would tell us so, wouldn’t they? For at least two decades, Americans have been deceived by those who should be bringing the message most cogently, but are unfortunately ignoring the most crucial elements of the problem. The primary issues related to the population problem have never been adequately described. The single most important issue is lack of political will to deal with the problem particularly in America. Why did it happen, and how? What will it take to reestablish the strong commitment we had to confront the problem in 1975? These are of greatest concern. All other issues are secondary and will remain peripheral until these are addressed and American political will reestablished. The secondary issues are fine for intellectual discussions but often become serious distractions from dealing with the immediate and difficult primary issues. It is intellectually dishonest to “make something appear to be something it is not” and “to give information but not all the information.” The population leadership has been guilty of this behavior from the beginning. Continued emphasis on the secondary issues is not only a serious distraction. More importantly, by respecting the Papacy’s wishes for silence, and focusing the world’s attention on the secondary issues, the population movement’s leaders tend to become part of the problem, rather than the spearhead of its solution. They have, in significant ways, helped postpone the self-destruction of the Papacy. Had they honestly portrayed the impediments to population growth control, the credibility of the Catholic Church surely would have been in much steeper decline than it is in 1996. 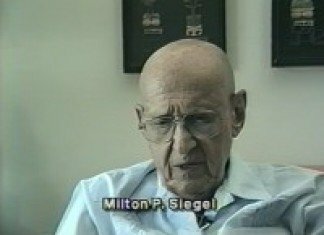 The 1994 International Conference on Population and Development (ICPD) in Cairo was a turning point in the Vatican’s stealth campaign to undermine population activities around the world. Never before had the Vatican been forced to reveal so publicly its tactics of obstruction. For the first five days of the meeting the press focused world attention on the Vatican’s stand, almost alone, in thwarting all progress. Many delegates to those sessions believe that the Holy See may have done itself irreparable harm in pushing its agenda so unrelentingly and so single-mindedly. A new image of the Vatican was crystallized in the minds of millions of deeply concerned people around the world. This new perception was best expressed when Maher Mahran, Egypt’s minister of population and the host of the conference asked: “Does the Vatican rule the world? The world is not here to be dictated to. And let me tell you the delegates here represent more than five billion people in the world, and not only 190 at the Vatican.”[203a] Nearly all of us present in Cairo shared Dr. Mahran’s frustration. The press broadcast his comment widely. Headlines read: “Vatican isolated; Vatican Obstructs Conference.”[203b] For the first time, the world recognized and accepted the reality that the Vatican is a great obstacle to population growth control. Its stealthy obstructive behavior of past decades would now be made much more difficult to maintain. What was the accomplishment of the ICPD in Cairo? Seven months later, in April 1995, 45 family planning leaders from the United States and nine Latin American nations met for three days in Mexico to assess the outcome of the ICPD Plan of Action. Since nearly 150 countries enthusiastically endorsed the plan, nearly everyone pronounced the meeting a resounding success. But was it? As each of the representatives of the nine Latin American countries stood and reported that little or no action had been taken by their governments because of the Vatican’s position against family planning, it became evident that Rome had really won in Cairo. [203d] In 1996, the Republican controlled United States Congress, elected as a result of the bishops 1975 Pastoral Plan, deeply cut funding for our family planning programs abroad. Vatican pre-conference maneuvering helped to avert another high-profile battle over abortion at the United Nations World Summit on Social Development held in March 1995 in Copenhagen, Denmark[203c] and again at the Women’s Conference in Beijing in September 1995. Nothing useful came from these two conferences. 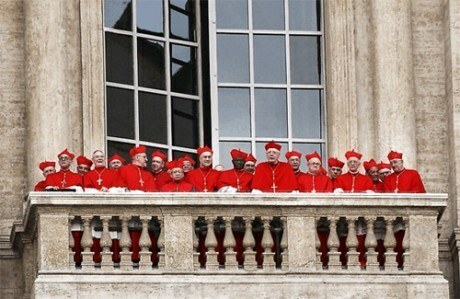 The Vatican was better prepared than in Cairo and was in remarkable control. These two conferences produced no significant advances toward population stabilization. If Americans had been told that the Vatican gravely threatened U.S. and global security in 1975, when that was definitively shown in NSSM 200, the Catholic bishops would not have been able to manipulate American policy in the innumerable ways they have. Had Americans been rightfully told that the Papacy is their enemy and why, control of population growth would surely be much further advanced today—and the Vatican would be much closer to self-destruction. O’Brien CC. People, Vol. 7, No. 1, November 1, 1980. Wilson AN. Heroes & Villains. The Independent Magazine. April 14, 1990, p. 54. Greeley AM. Who are the Catholic conservatives? America, 1991;165(7):158-62. Hickey J. et al. Dear Mr. President. National Catholic Register, July 3, 1994, p. 3. [203a] Cairo and beyond. Open File September 1995. p. 5. [203b] Renato Martino on Cairo’s achievement. National Catholic Register February 5, 1995. p. 1. [203c] Barbera M. In Copenhagen, another U.N. summit. National Catholic Register February 26, 1995. p. 1. [203d] Collins DA. Personal Communication. April 11, 1995. Release this book on Kindle please! The Catholic Faith *is* True. You are damned without it, and most are damned with it. Be not deceived.